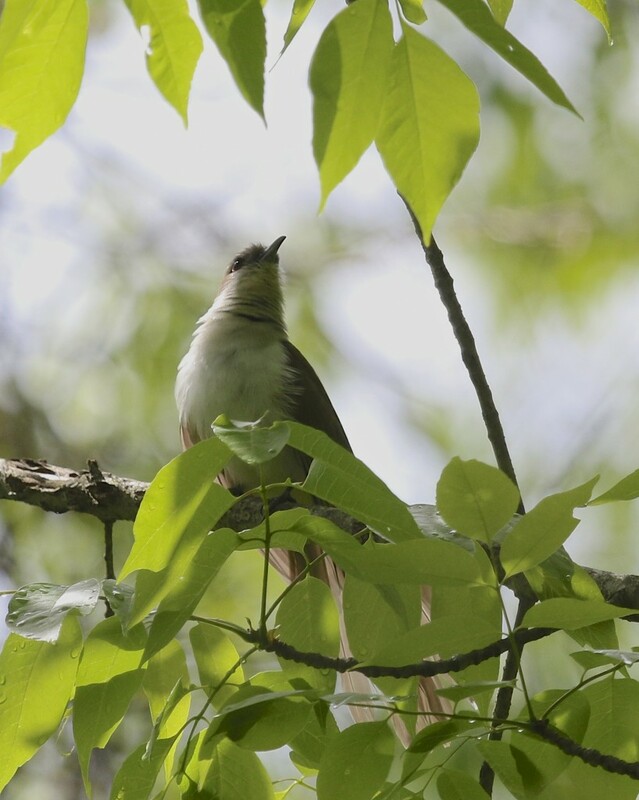 Yellow-billed Cuckoo at Wallkill River National Wildlife Refuge, Liberty Loop, 5/29/14. After work today, I made it out to the Liberty Loop. 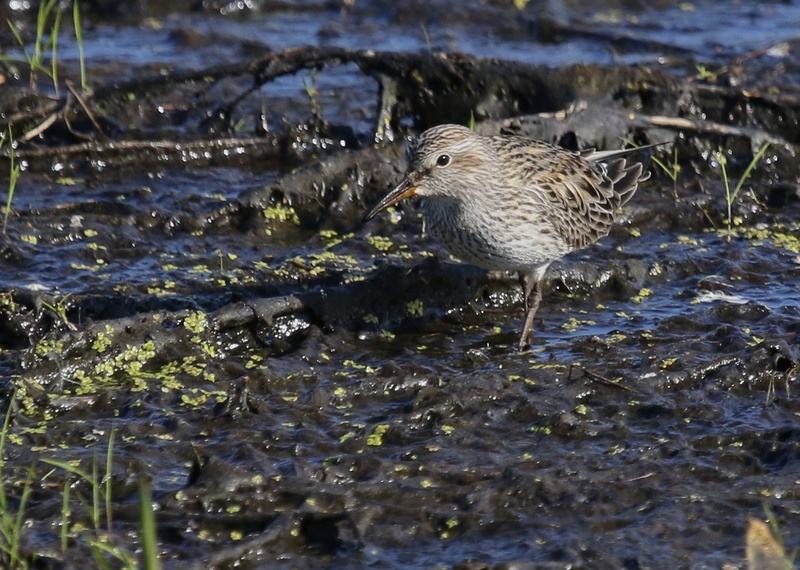 I wanted to follow up on an eBird report from last night that included a King Rail and (5) Sora. When I arrived, Linda Scrima was already there having just walked out Liberty Lane. 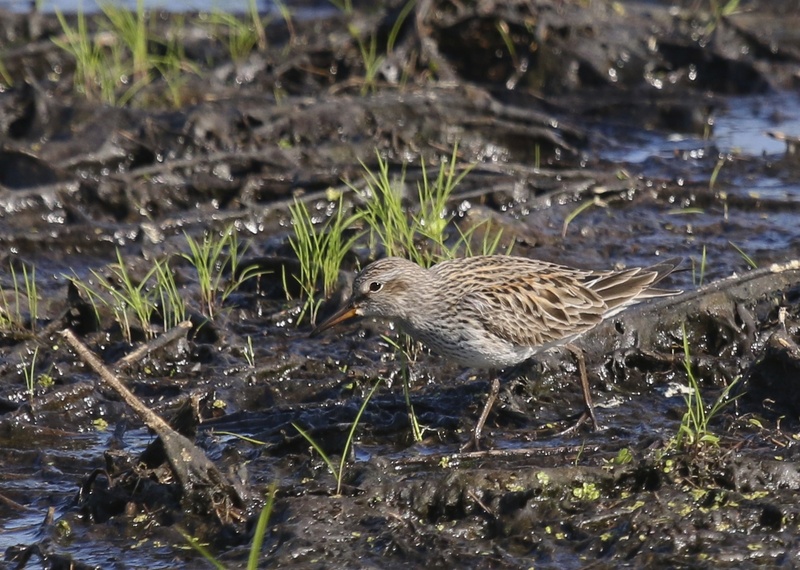 I heard what I believed was a Sora from far out into the marsh as soon as I got out of my car. I have never heard or seen a Sora before, so I was listening to the call on my phone app to be sure. We walked the east side of the loop out and back, and Sora intermittently called as we walked. The calls could still be heard as we pulled out of the parking lot just after 7:00 pm. From what I could tell, there were at least two Sora present. Out on the trail, I tried clacking rocks together to see if the King Rail would respond – the first time I did it both Linda and I thought we heard a response. It was distant and faint and we only heard it the one time, and again, this is a bird that I have no experience with, so I am hoping to get another opportunity to see or hear this bird and hopefully get a good ID on it. The highlight of the evening was seeing my first Green Heron of the season. That’s right, my FOS Green Heron. I feel like I have been out quite a lot this spring, but somehow I have not seen a GRHE until today. Unfortunately, no good photos of the bird. 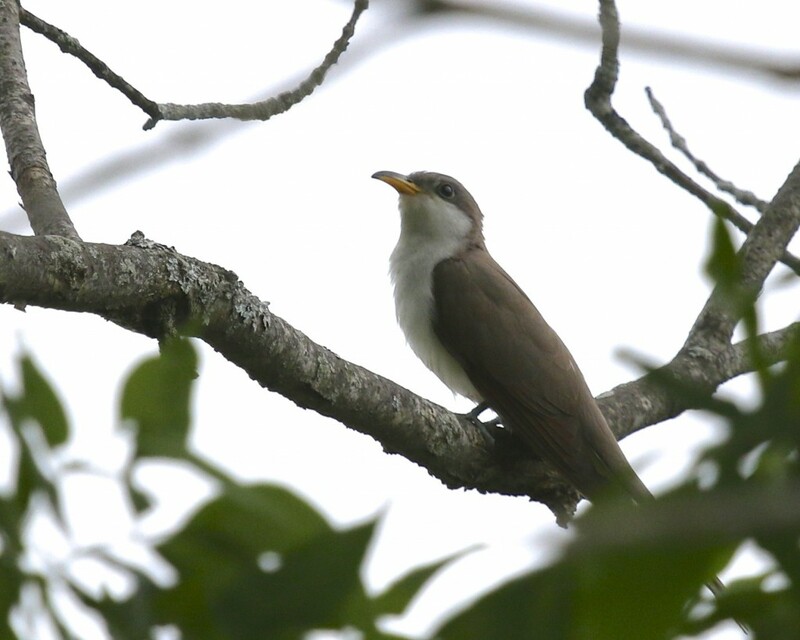 Another highlight was seeing and getting photos of a beautiful Yellow-billed Cuckoo, my current favorite bird. 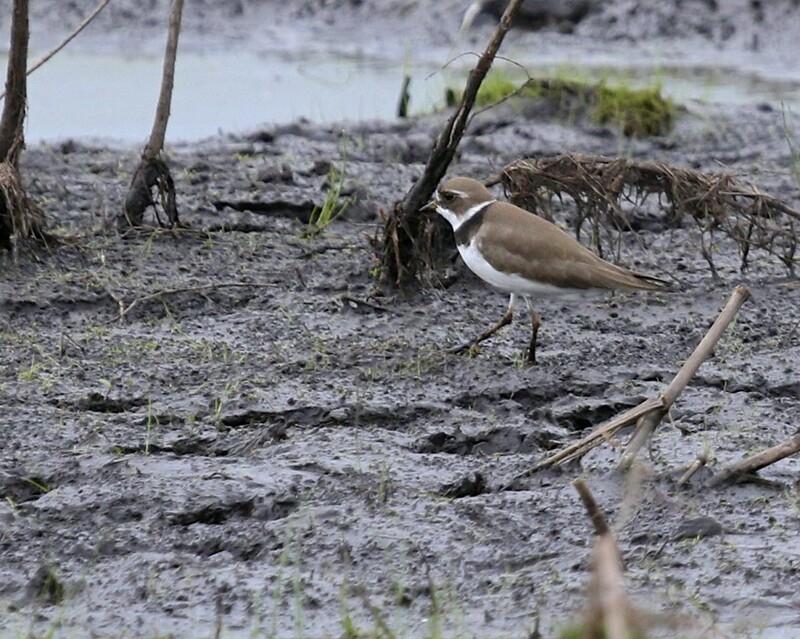 The lowlight was definitely the lack of shorebirds, with only a couple Killdeer and a single Spotted Sandpiper being seen. 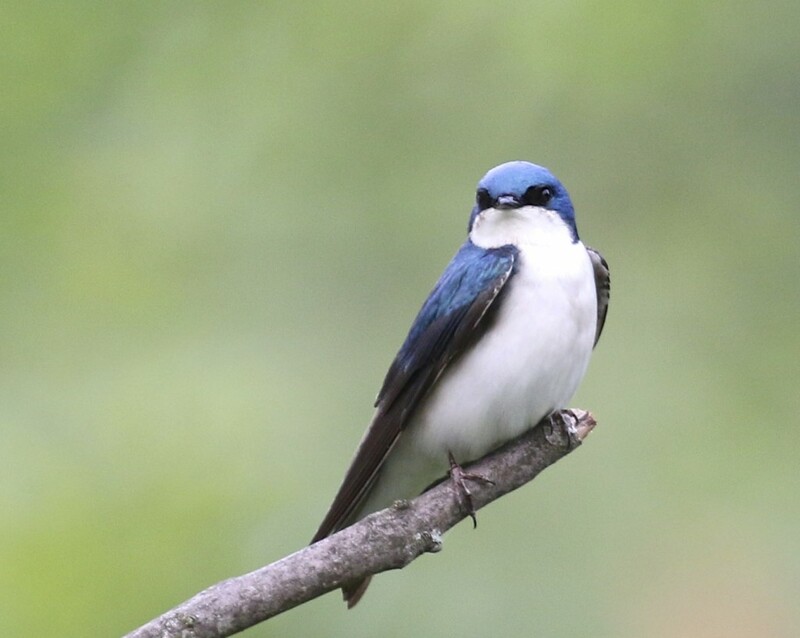 Tree Swallow at Wallkill River NWR, 5/29/14. 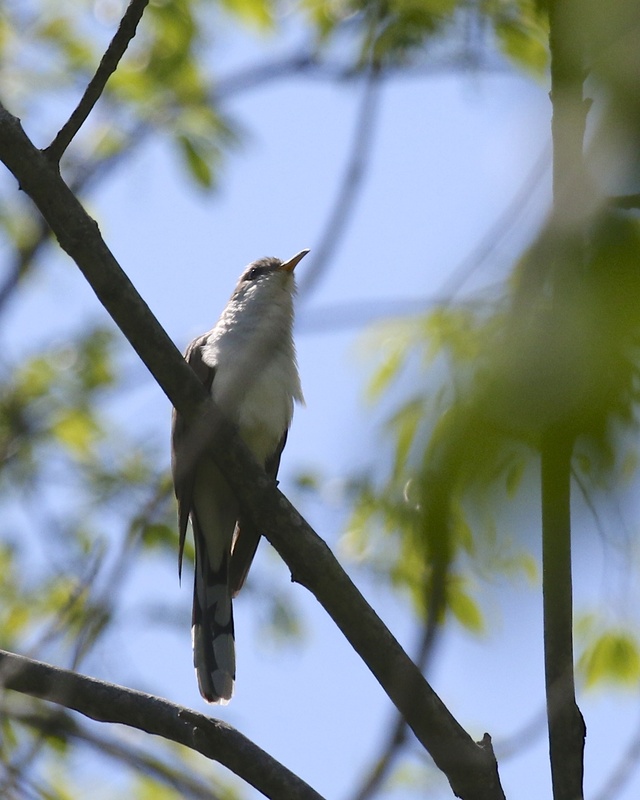 A very cooperative Yellow-billed Cuckoo, Wallkill River NWR, Liberty Loop Trail, 5/26/14. Yellow-billed Cuckoo on the Winding Waters Trail at Wallkill River NWR, 5/26/14. Afterwards, I headed over to the Liberty Loop to meet up with Maria Loukeris. We walked the loop; I was hoping for some shorebirds somewhere along the way. 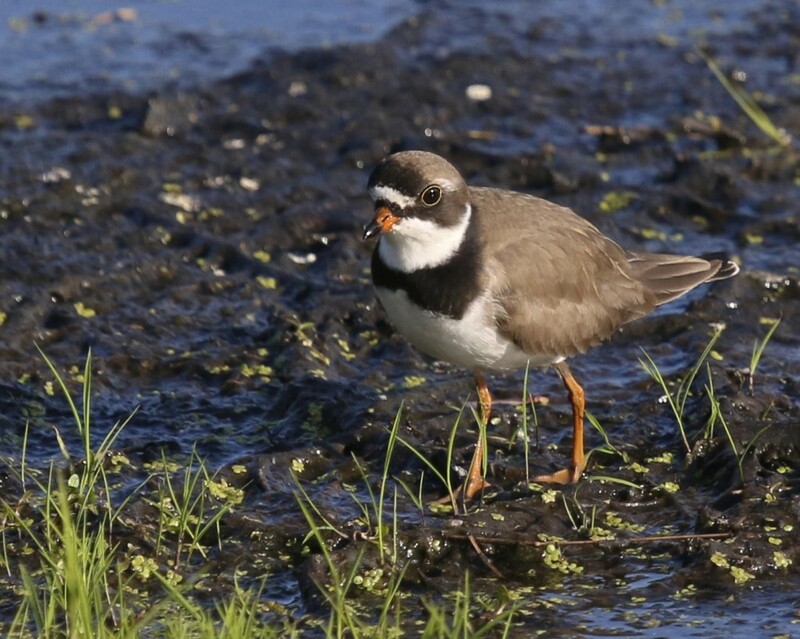 Shorebirds were not in abundance (Semipalmated Plover-2, Greater Yellowlegs-2, Spotted Sandpiper-1, Solitary Sandpiper-1, and Maria saw what were likely the Semipalmated Sandpipers that I had out there the other night- maybe 20 of them?). 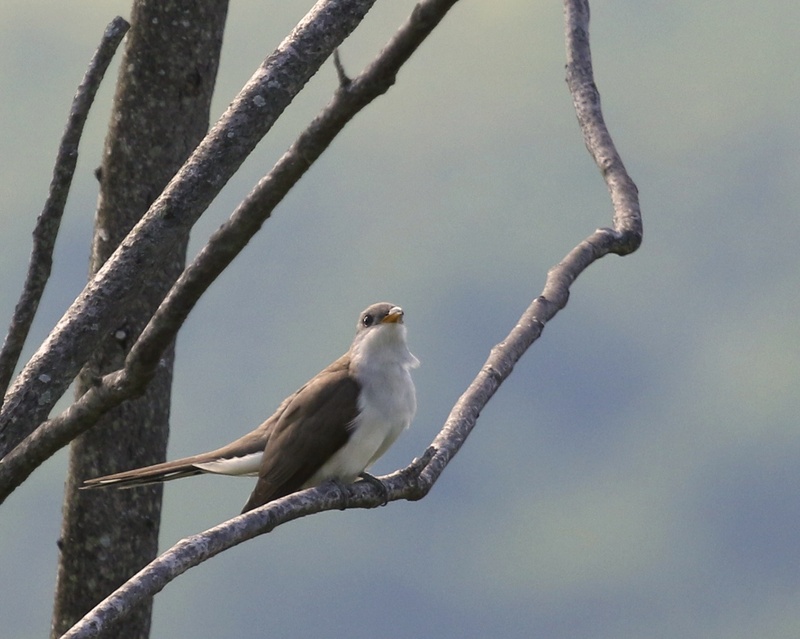 The poor showing of shorebirds was more than made up for by a pair of cooperative Yellow-billed Cuckoos in the southwest corner of the loop, right in the area of the eagle’s nest. I believe this was the first time Maria had seen YBCU, and we both took many photos. My best effort is at the top of this post. 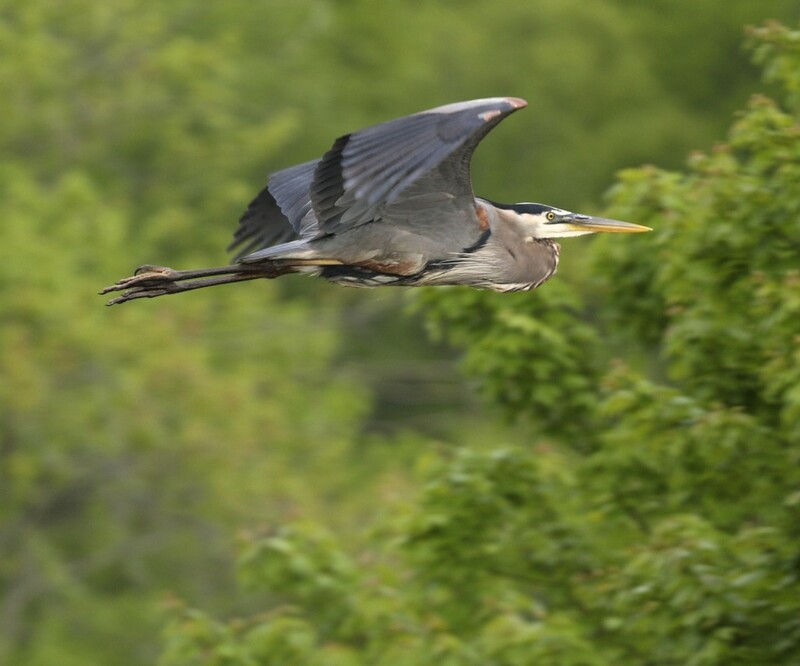 My first decent Great Blue Heron shot of the season. 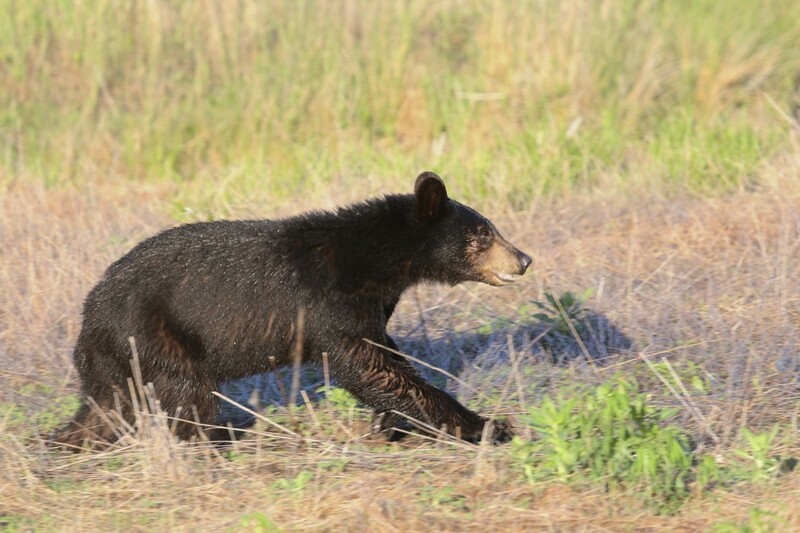 Taken on Haven Road at the Bashakill WMA, 5/25/14. 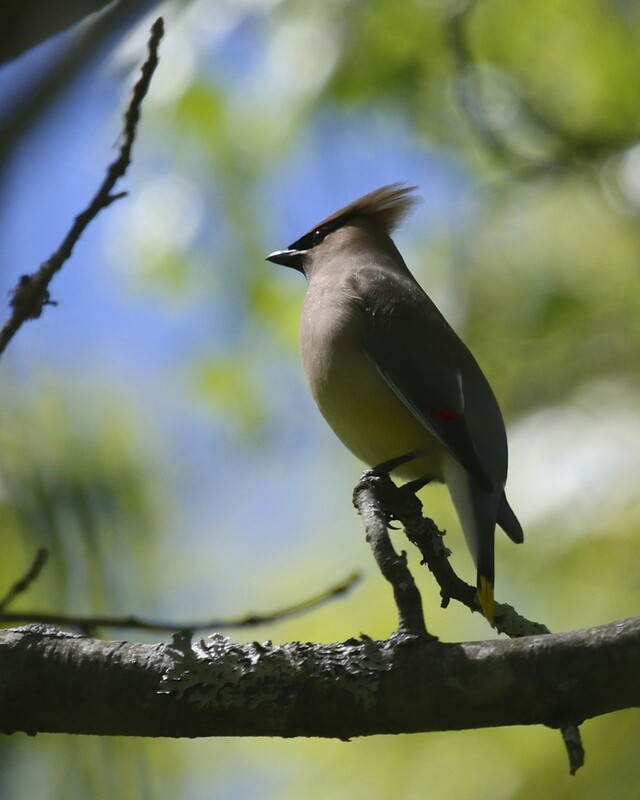 I haven’t had too many Cedar Waxwings this spring. Bashakill WMA, 5/25/14. 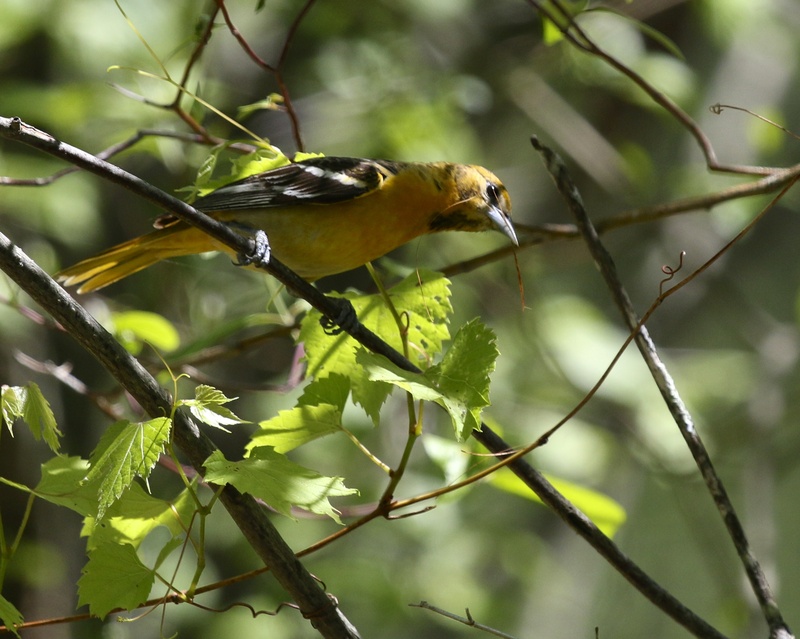 Baltimore Oriole at the Horseshoe Trail, Bashakill WMA, 5/25/14. 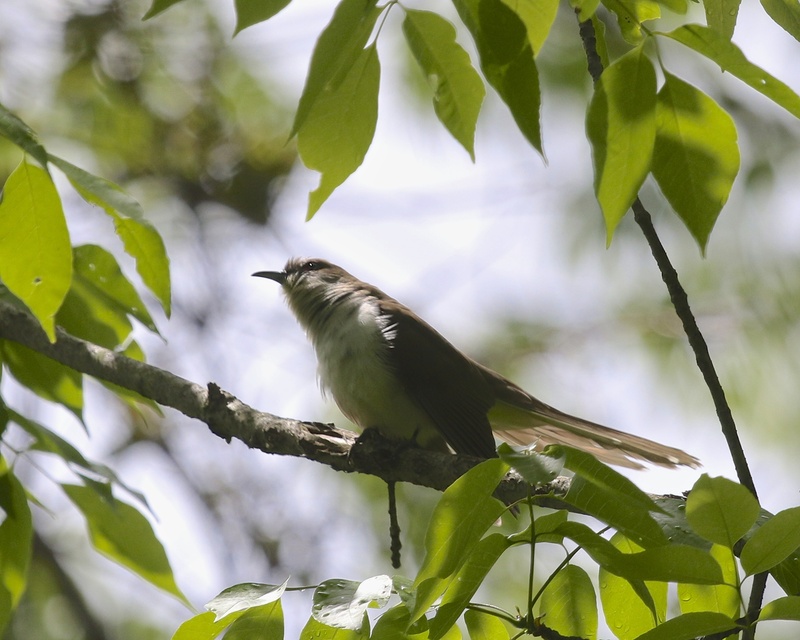 Black-billed Cuckoo at Goose Pond Mountain State Park, 5/24/14. I met Linda Scrima and Maria Loukeris at Goose Pond Mountain State Park early this morning in an effort to beat the rain that was forecasted. It was a gray morning with more birds being heard than seen for most of the trip out on the trail. The way back was another story, however, and we ended up getting some good looks at many of the birds we only heard on the way out. 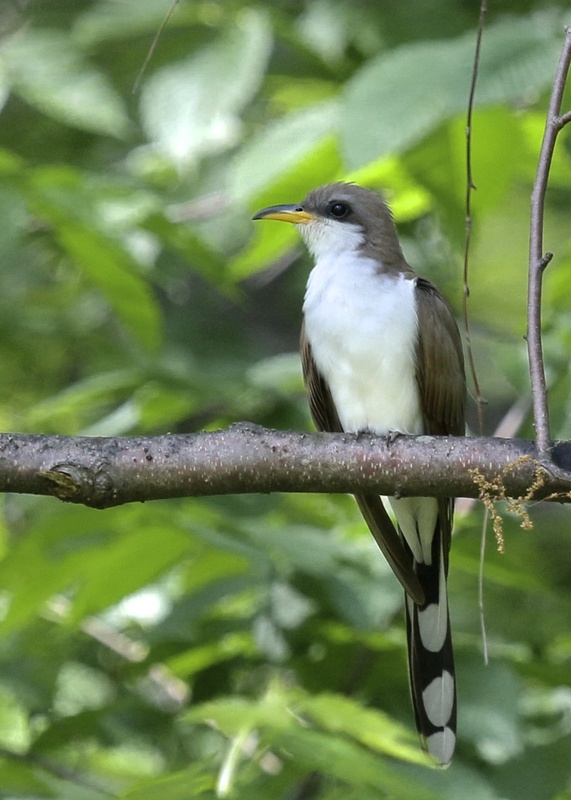 The highlight of the day was undoubtedly the pair of BLACK-BILLED CUCKOOS that showed up right on the trail. I was struggling terribly with the camera all morning for some reason, so I only got so-so shots. It was a life bird for both Linda and Maria, so that was exciting. What started out as a slow morning ended up pretty good, and counting the Northern Mockingbird I saw before Linda and Maria arrived, we totaled 40 species for the day. Here’s my list for the day – Linda and Maria, let me know if I’ve missed anything! 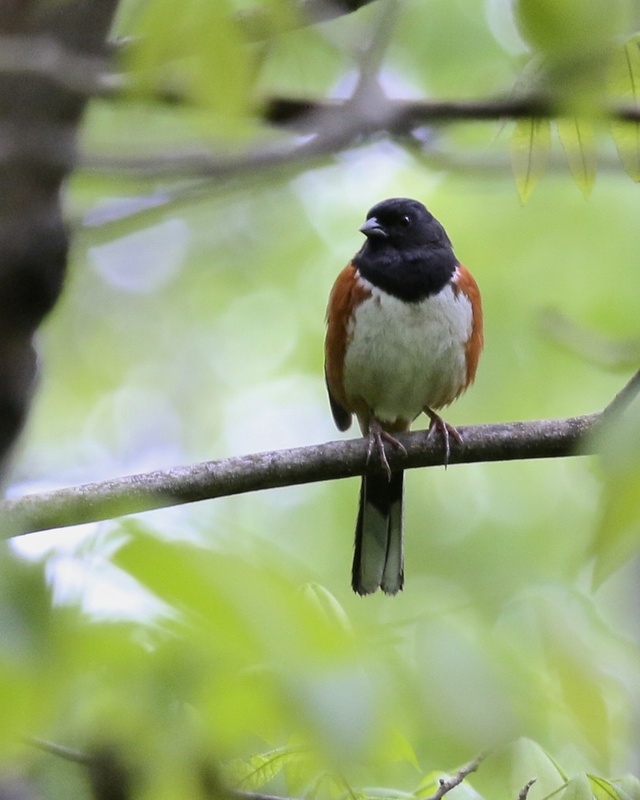 Eastern Towhee, Goose Pond Mountain State Park, 5/24/14. 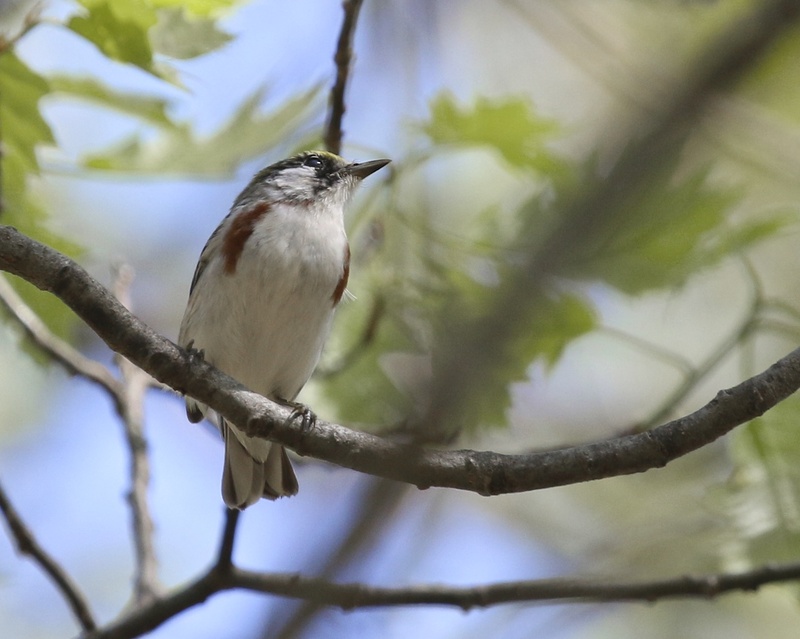 Another highlight of the day was getting great looks at this Chestnut-sided Warbler, located by Maria. Goose Pond Mountain State Park, 5/24/14. Photo by Linda Scrima. 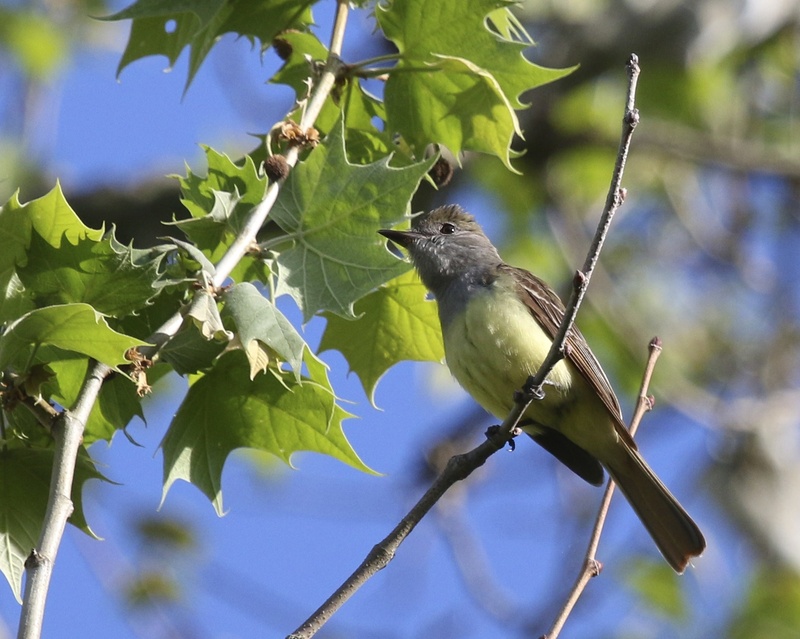 Last year I could not get a photo of a Great-crested Flycatcher, this year it’s a different story. Wallkill River NWR, 5/24/14. 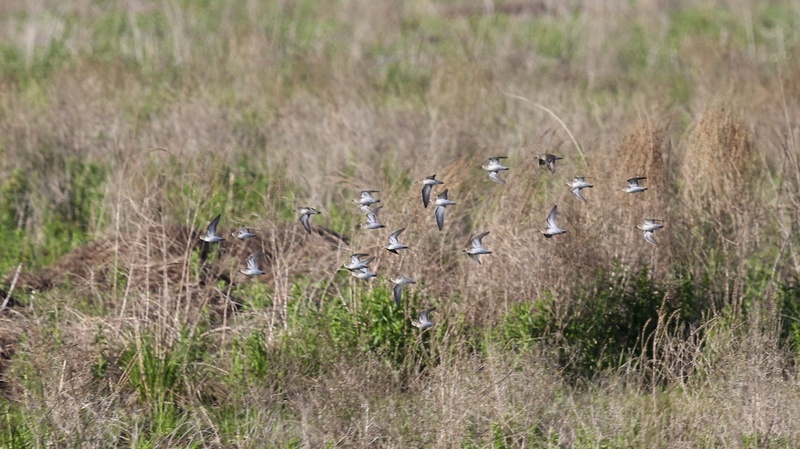 Any thoughts on the ID of these shorebirds? Liberty Loop, 5/24/14. 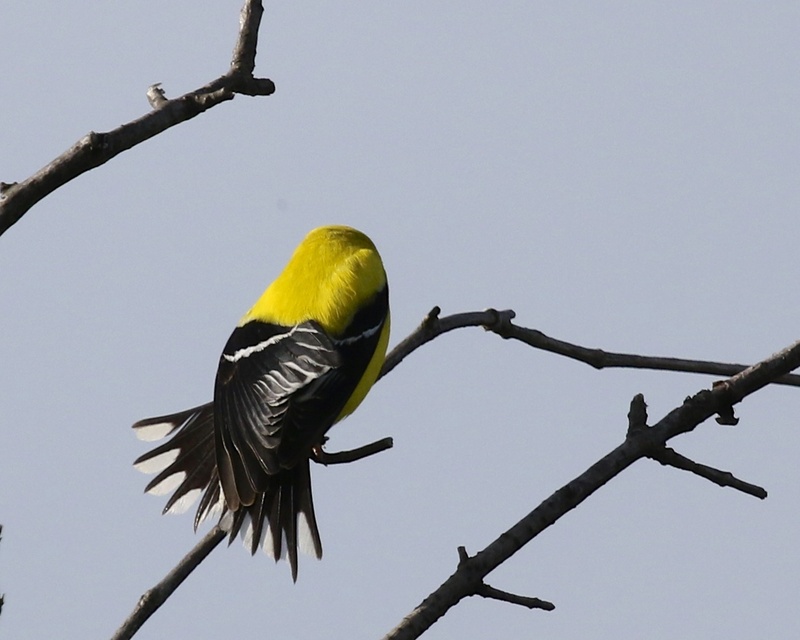 American Goldfinch showing off at Wallkill River NWR, 5/24/14. 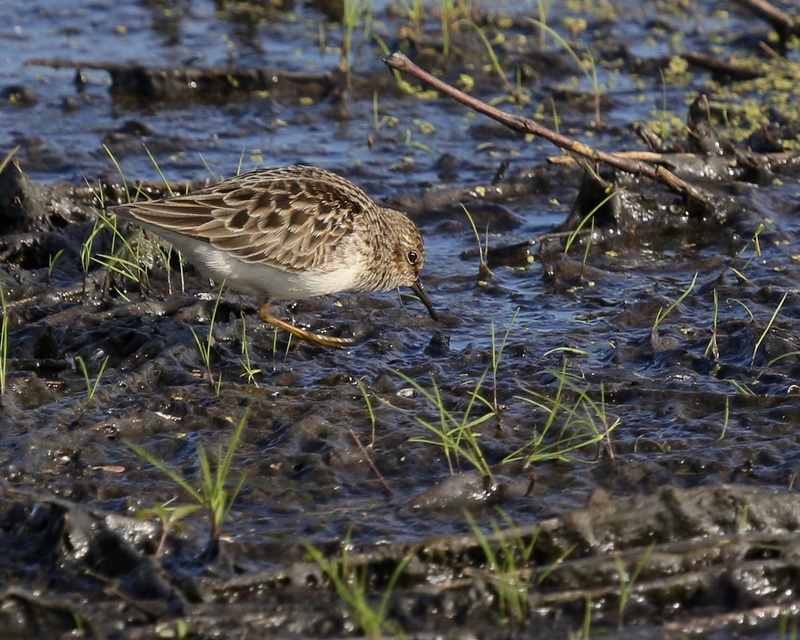 White-rumped Sandpiper at the Liberty Loop, Wallkill River NWR, 5/19/14. Author mattzeitPosted on May 19, 2014 Categories Uncategorized6 Comments on White-rumped Sandpiper! I got some incredible looks at several Blue-winged Warblers out at Goosepond Mountain State Park on Sunday 5/18/14. Update: As M Grant pointed out to me (thanks! 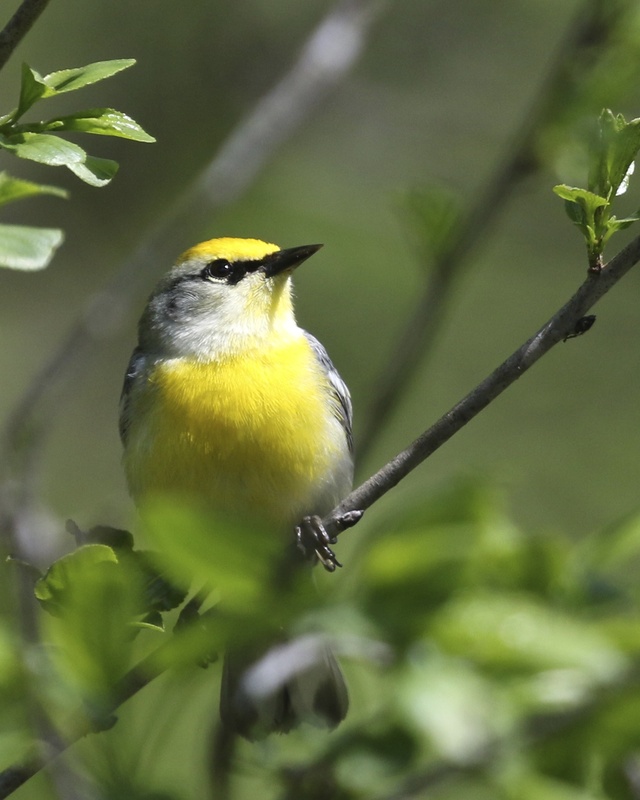 ), this bird is likely a hybrid between Blue-winged Warbler and a Golden-winged Warbler known as Brewster’s Warbler. Read more about it here. 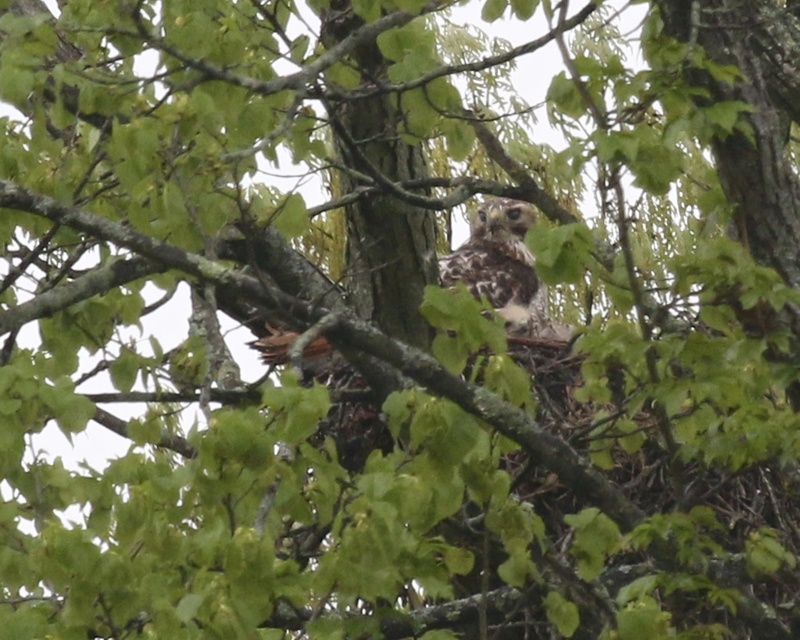 RTHA nest in Warwick, NY 5/16/14. I then headed over to the Wallkill River National Wildlife Refuge and walked down Liberty Land and the west side of the Liberty Loop, hoping for shorebirds. It was a pretty quiet evening bird-wise and for shorebirds I only located 2 Greater Yellowlegs and 2 Killdeer. My best bird of the night was my FOS Willow Flycatcher, which I somehow did not manage to get a photograph of. 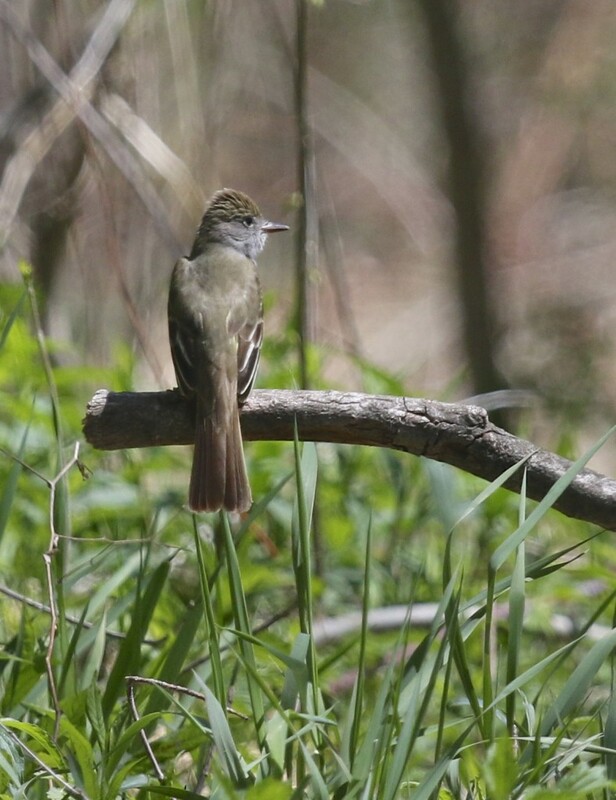 I also had a pair of Great-crested Flycatchers and they were more accommodating. One of two Great-crested Flycatchers on the Liberty Loop Friday night, 5/16/14. 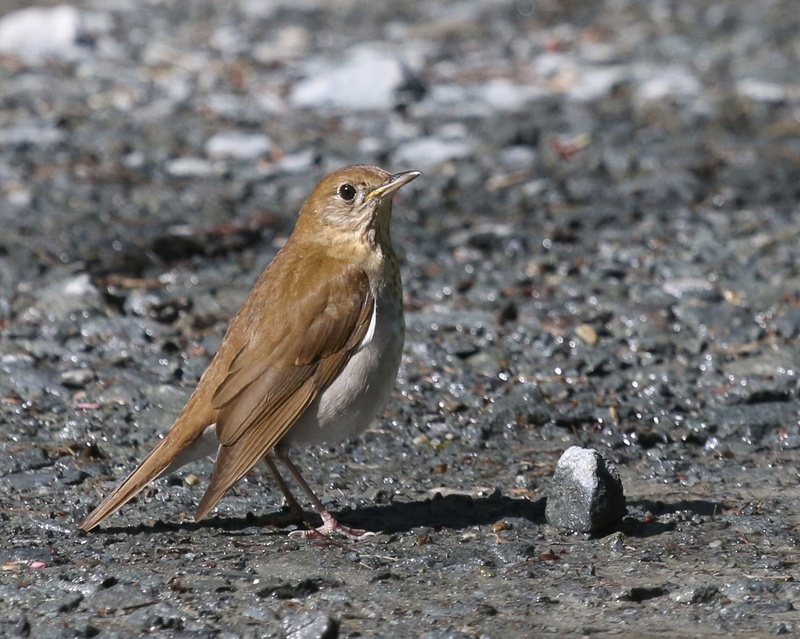 While birding the Orchard, this Veery was kind enough to land in the middle of the road. Bashakill WMA, 5/17/14. 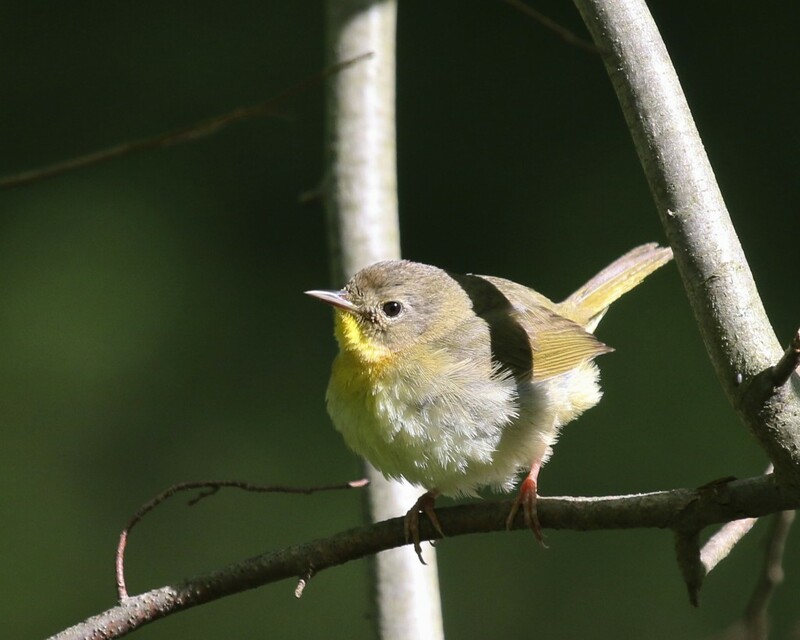 One of many Common Yellowthroats at the Bashakill WMA on 5/17/14. Karen and I both volunteered at the Nature Watch in the afternoon, where it was not very birdy, with even the Bald Eagles and the Osprey being relatively low key. We did have some great visitors that enjoyed good looks at the birds in the scopes. Far and away the best bird of the day, my FOS Yellow-billed Cuckoo, Goosepond Mtn. State Park, 5/18/14. Sunday morning I headed out to Goosepond Mountain State Park, a place where I have never birded before. I have wanted to, but for some reason I could not figure out exactly where to go. Karen and I ran into some fellow Mearns Bird Club members on Saturday and they helped me out. If you are interested, the trailhead is located on Laroe Road in Chester NY. As you are leaving Chester, the trailhead is on the left hand side; it does not look like much and is easy to pass by (like I did). I really enjoyed birding on this trail – it was extremely peaceful on a Sunday morning, the only other person I saw was a single mountain bike rider. One thing I really enjoyed was how quiet the trail was, it made it very easy to listen to and for the birds. I should also say that it is a long trail – I was out for four hours today and I did not walk the entire trail. Basically you can plan to walk out and then back to your car. One of MANY Indigo Buntings at Goosepond Mtn. State Park, 5/18/14. The birding was good and I totaled 36 species for the morning. 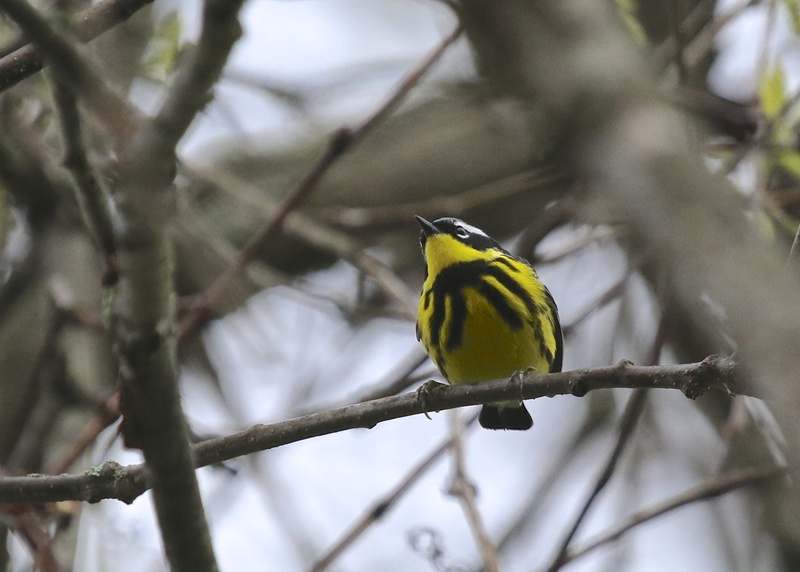 Blue-winged Warblers were numerous and accessible, providing many photo ops. 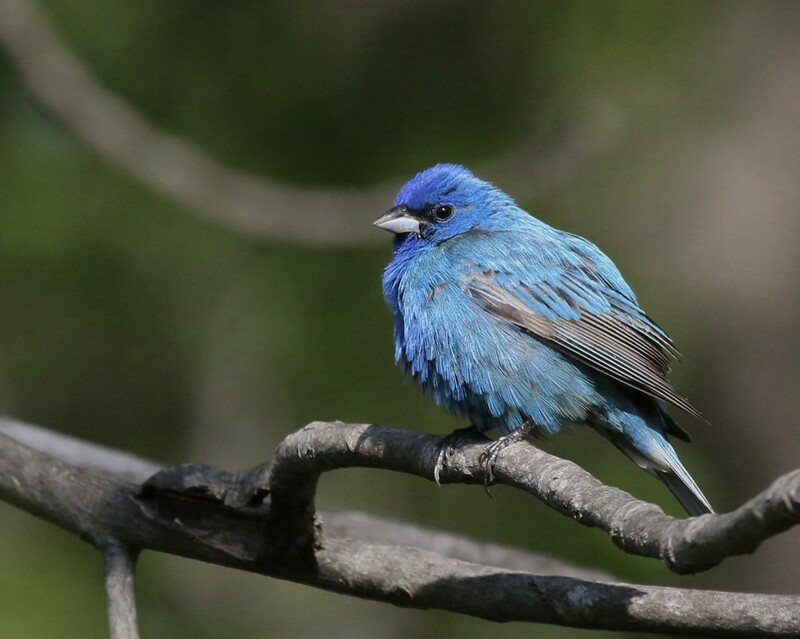 As were Indigo Buntings. The best bird of the day, however, was certainly the YELLOW-BILLED CUCKOO. 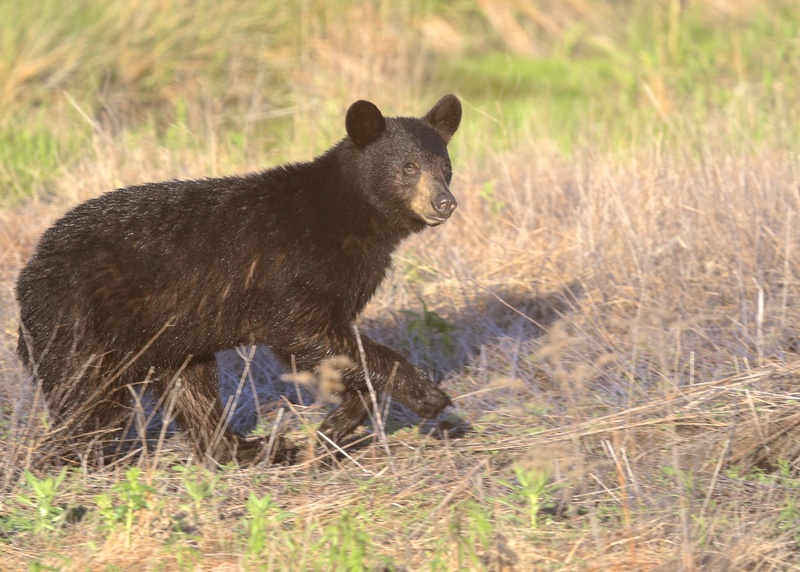 I heard them early on but it took a lot of patience to finally get to see them and get some distant photos. 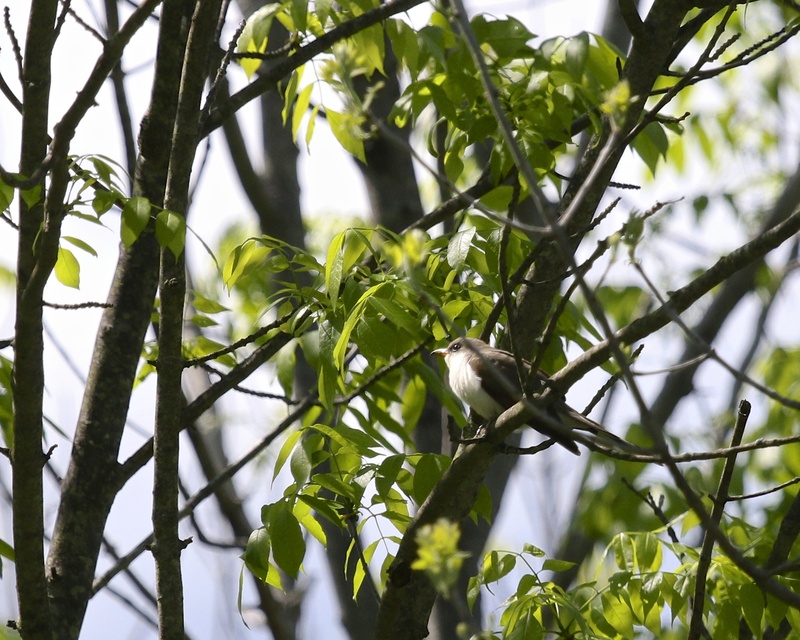 Another distant shot of one of two Yellow-billed Cuckoos at Goosepond Mtn. State Park, 5/18/14. 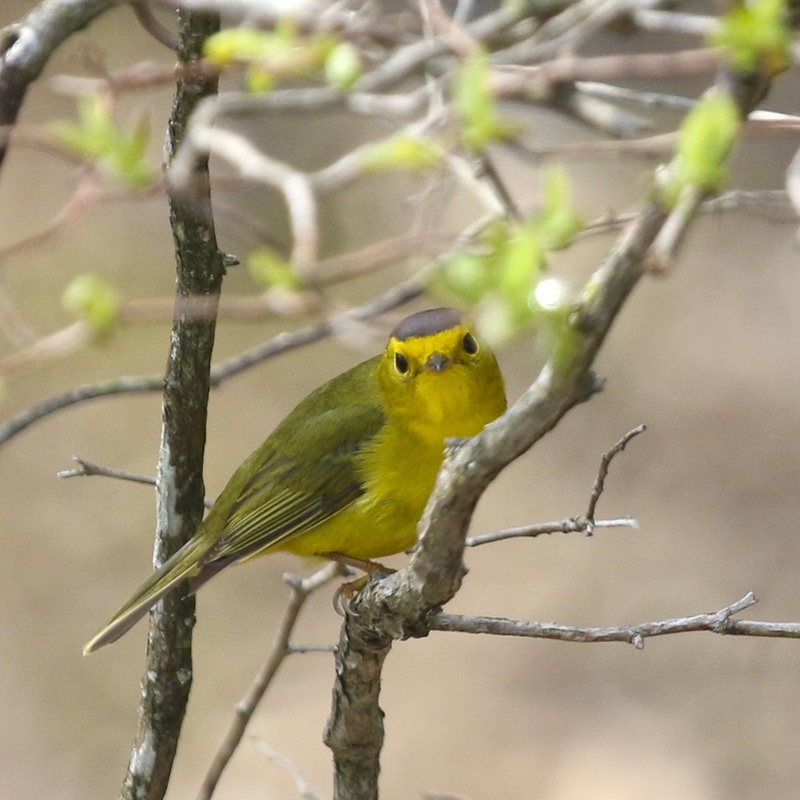 Blue-winged Warbler (Update: Brewster’s Warbler) at Goosepond Mtn. State Park, 5/18/14. Eastern Kingbird in flight, Goosepond Mountain State Park, 5/18/14. 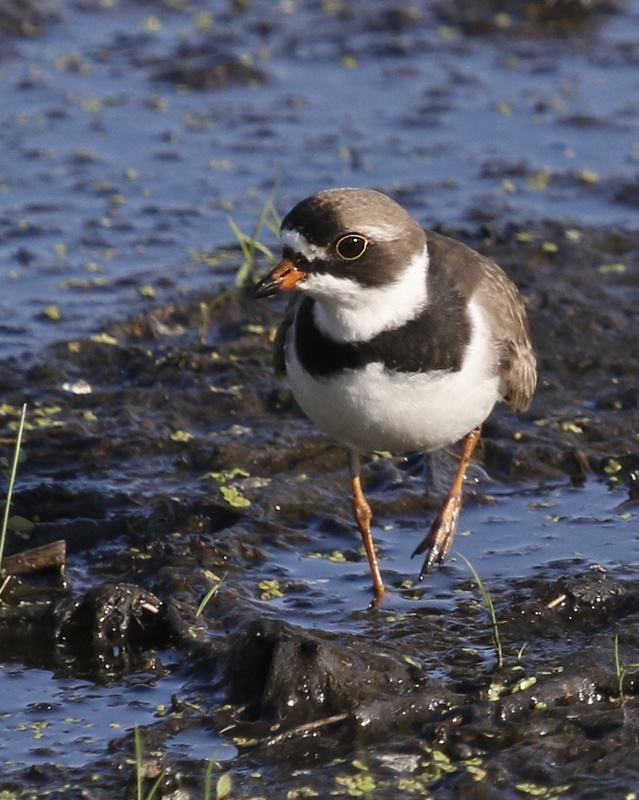 One of two Semipalmated Plover at Wallkill River NWR, 5/15/14. They were located in the compound just north of Oil City Road, to the west of Liberty Lane. All the birds, save one Greater Yellowlegs, were located in the compound just north of Oil City Road and on your left as you walk up Liberty Lane. Two of the Greater Yellowlegs flew and eventually put down on the west side of the Liberty Loop, so that might be another good location for shorebirds. 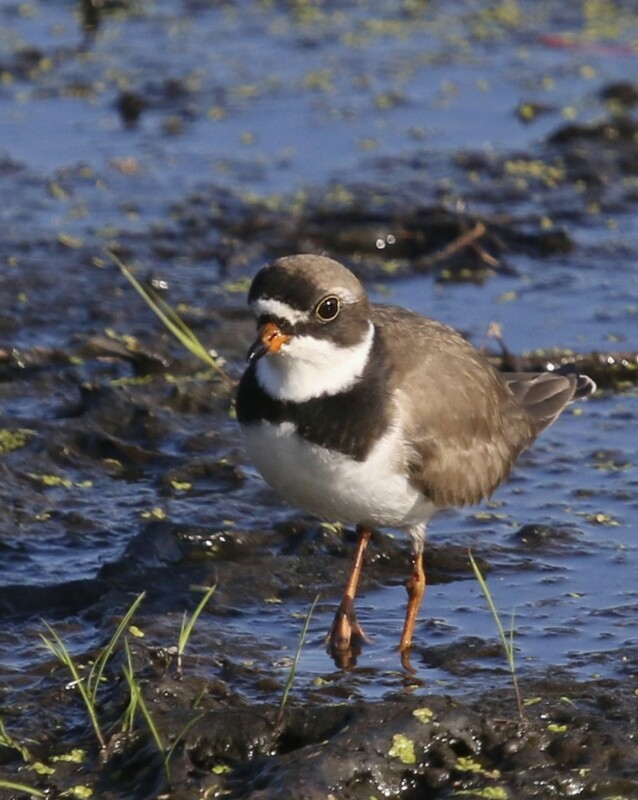 Semipalmated Plover at Wallkill River NWR, 5/15/14. 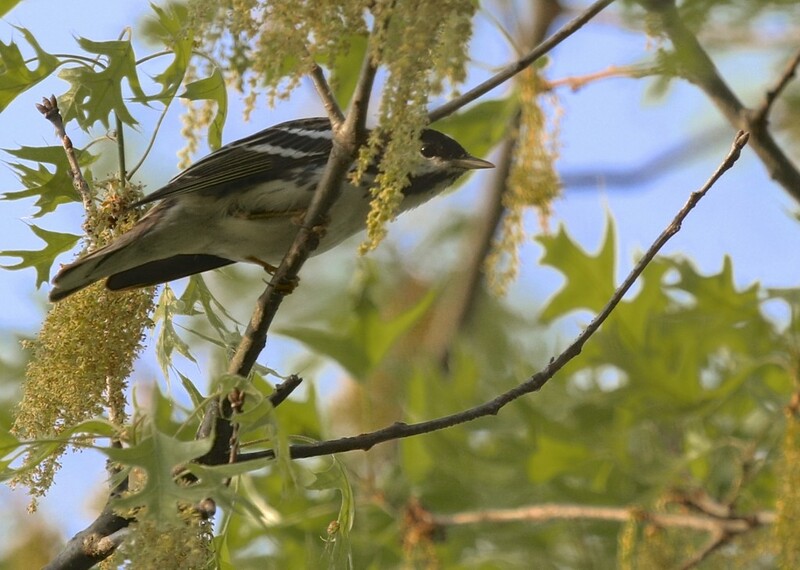 One of two Blackpoll Warblers at 6 1/2 Station Road Sanctuary, 5/14/14. 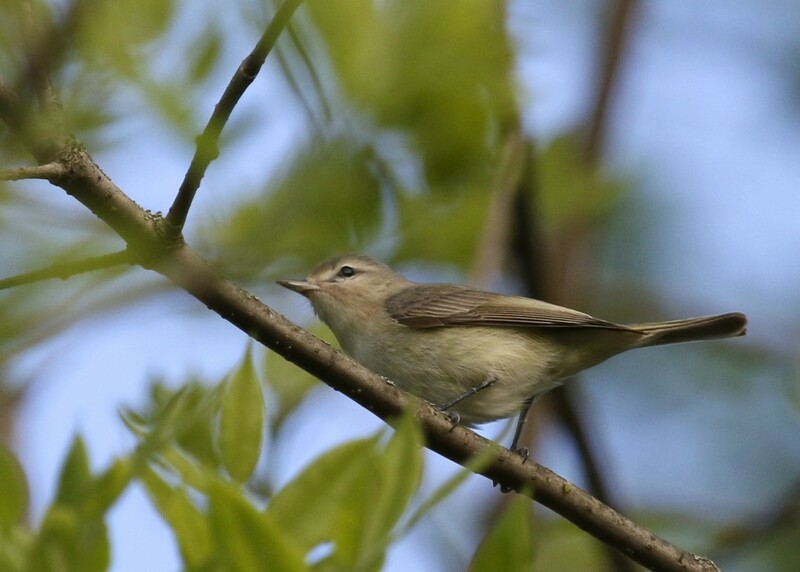 Warbling Vireo at 6 1/2 Station Road Sanctuary, 5/14/14. A Beautiful Blackburnian Warble at Pochuk Mountain State Forest, 5/11/14. 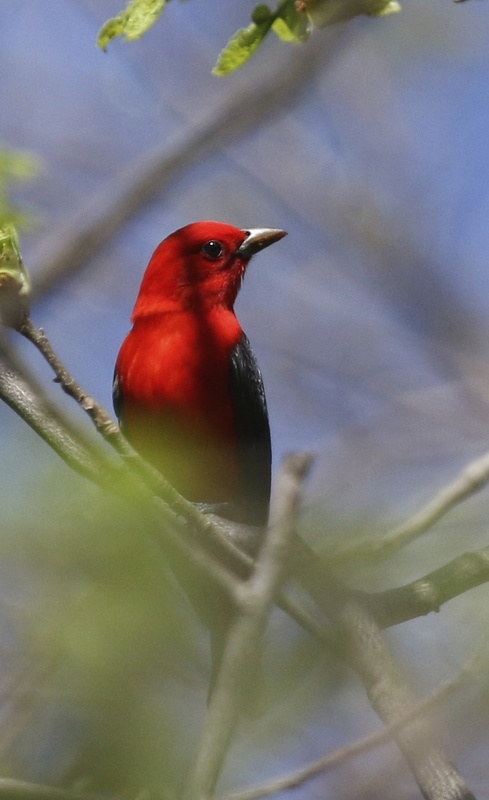 We got some amazing looks at Scarlet Tanagers, a bird that has evaded me up until today. Pochuk Mountain State Forest, 5/11/14. 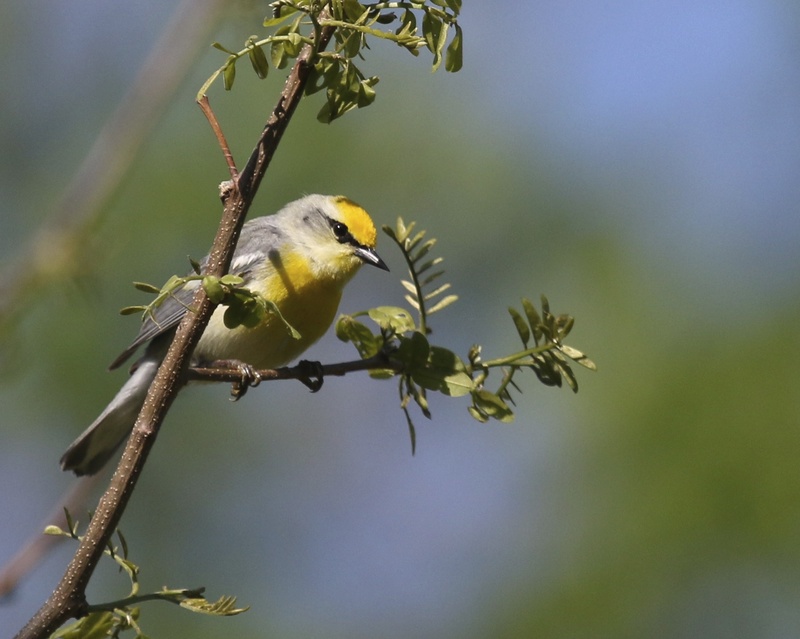 Additionally, I am pretty sure that Maria had a Blue-winged Warbler as well; she sent over a photo that looks like a pretty good ID for the bird. Linda and Maria – let me know what other species I’ve left off the list! Thanks. 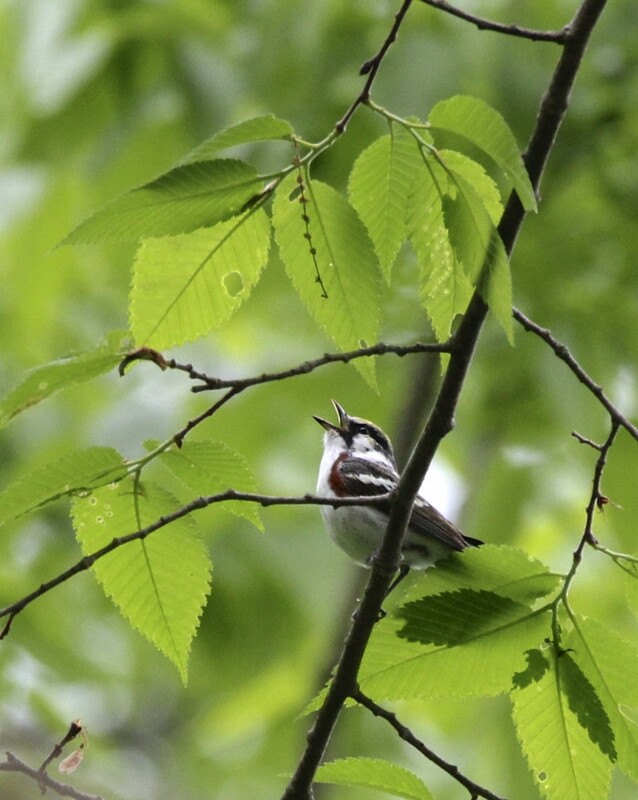 Chestnut-sided Warbler at Pochuk Mountain State Forest, 5/11/14. 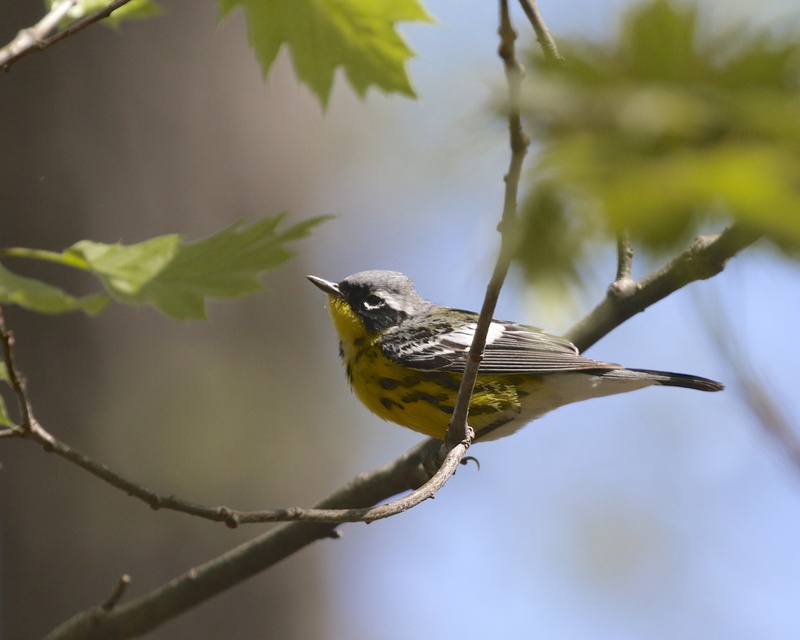 Magnolia Warbler at Pochuk Mountain State Forest, 5/11/14. 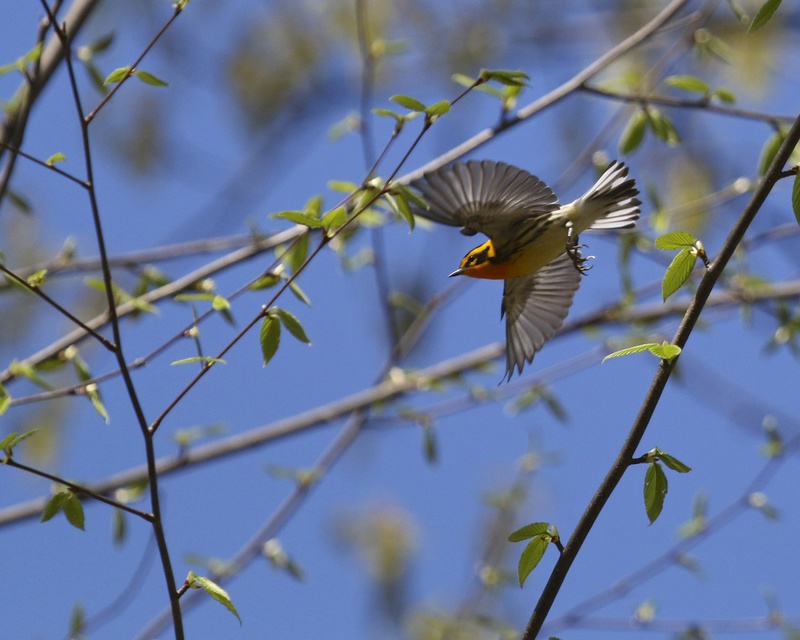 Blackburnian Warbler in flight, Pochuk Mountain State Forest, 5/11/14. 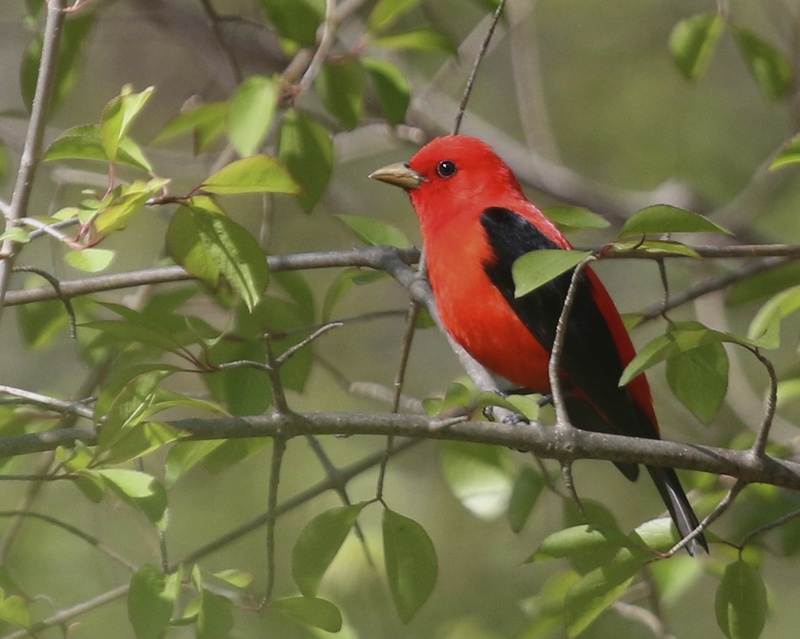 One more Scarlet Tanager shot – what a gorgeous bird. Pochuk Mountain State Forest, 5/11/14. 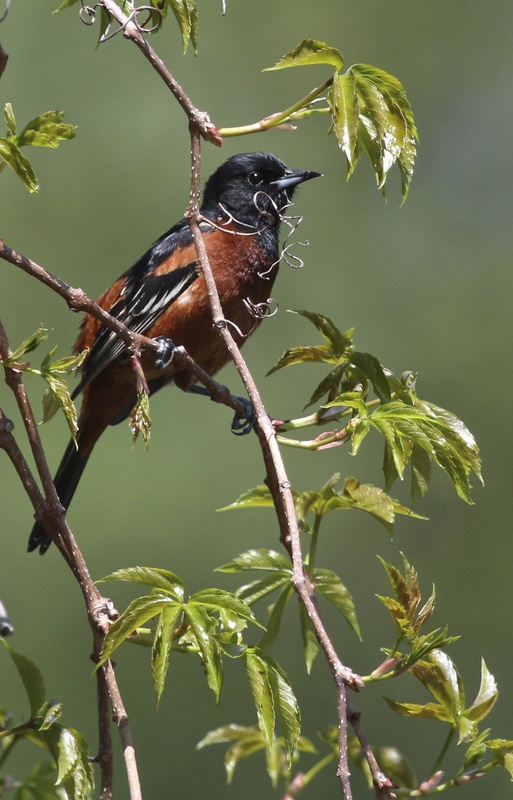 My FOS Orchard Oriole at Winding Waters Trail, 5/11/14. 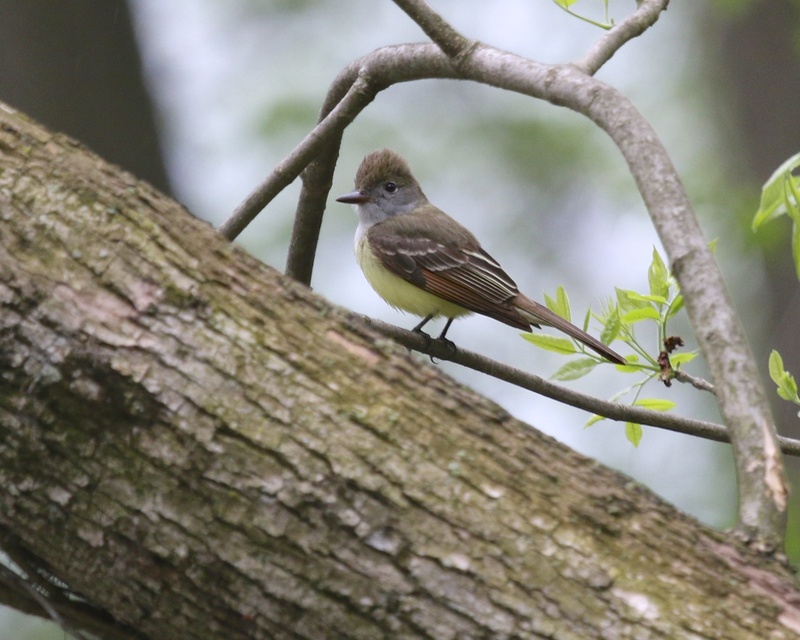 Great-crested Flycatcher at Winding Waters Trail, 5/11/14. A female Common Yellowthroat in the shade. 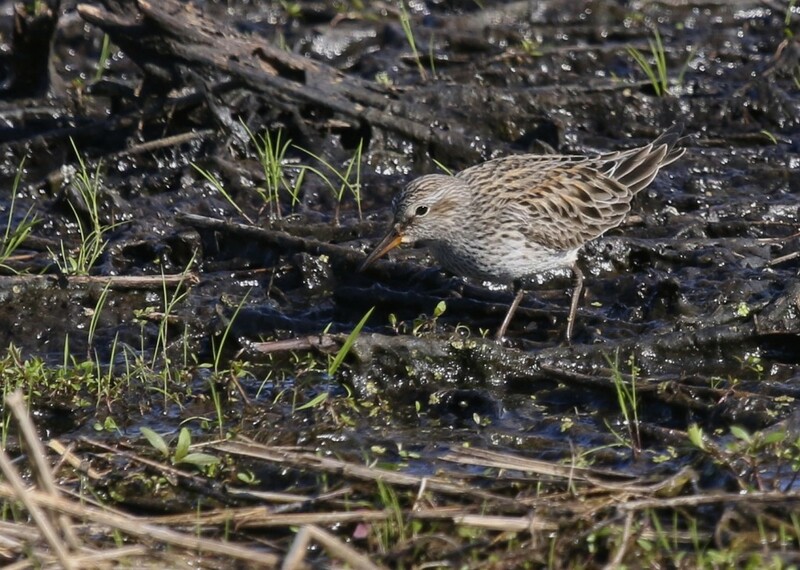 Wallkill River NWR, 5/11/14. 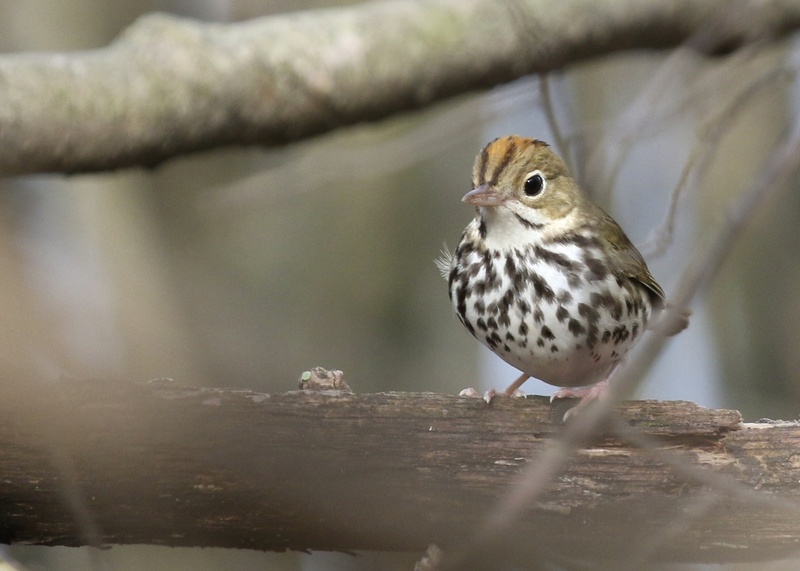 Karen Miller and I had plenty of very good looks at Ovenbirds today. Bashakill State WMA, 5/10/14. Some of you might know that warblers are not my favorite type of birding. I know this is sacrilege, everyone loves the warblers! The truth is I struggle with them, but once I get into it I find it very enjoyable. There was a lot of bird movement in the past two days and I got out looking mainly for warblers on both days. On Friday evening I made it out to Pochuk Mountain State Forest, a new spot for me – thanks to Rob Stone for the heads up. It was a gray, misty evening and between the poor light and the birds being up very high, I struggled. In the end I was pretty happy to have seen and identified 10 species of warbler, though most of my identifying came after the fact, looking through bird guides and my photos from the day. 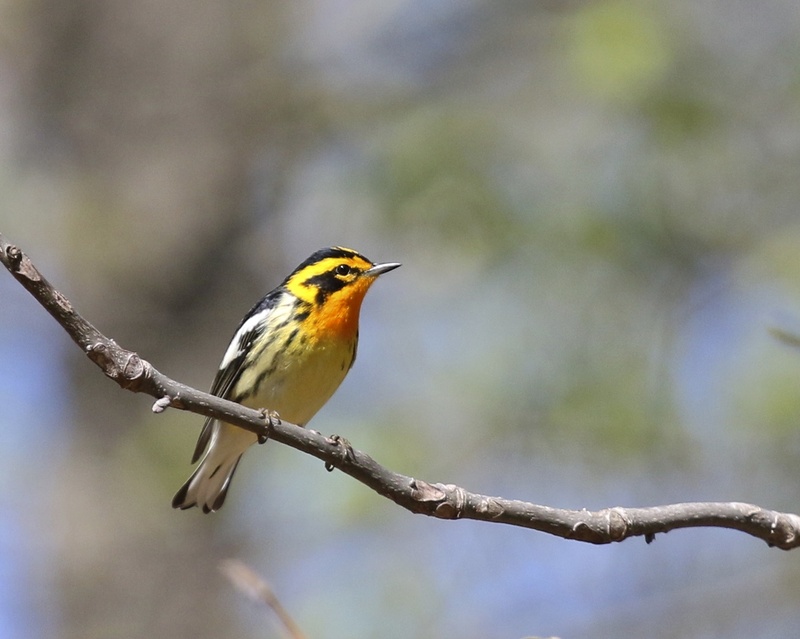 A Magnolia Warbler overhead at the Nature Trail, Bashakill State WMA 5/10/14. This Palm Warbler was extremely confiding and also nice enough to pose with a nice foreground. Bashakill State WMA, 5/10/14. 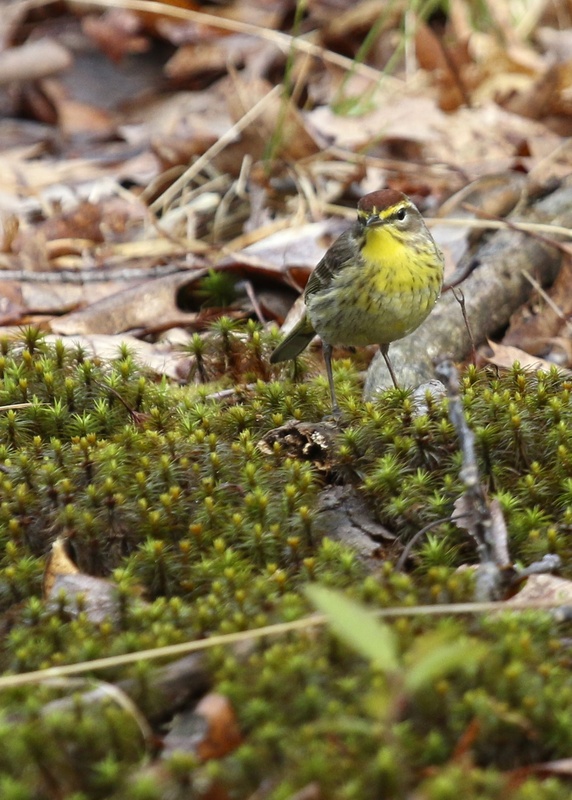 One of three WILSON’S WARBLERS we had at the Bashakill State WMA, 5/8/14. 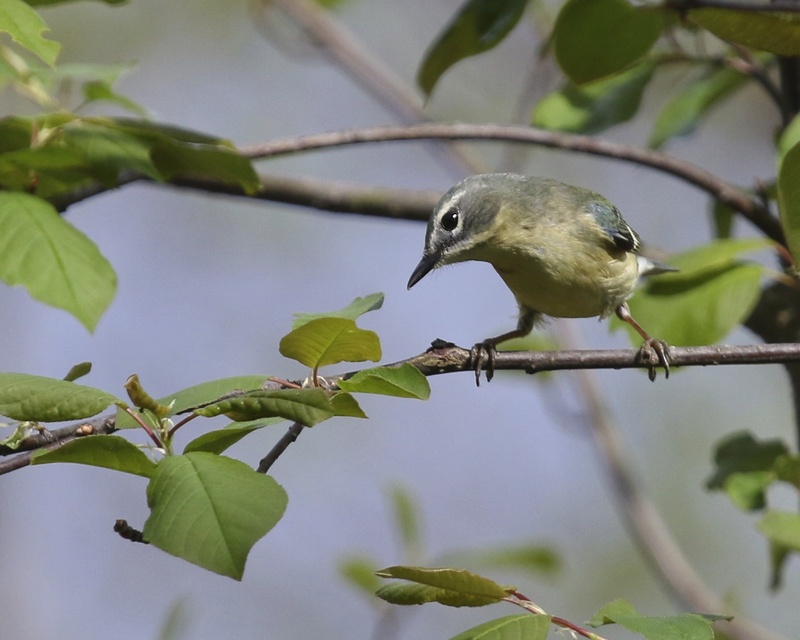 Female Black-throated Blue Warbler at Bashakill State WMA, 5/10/14. 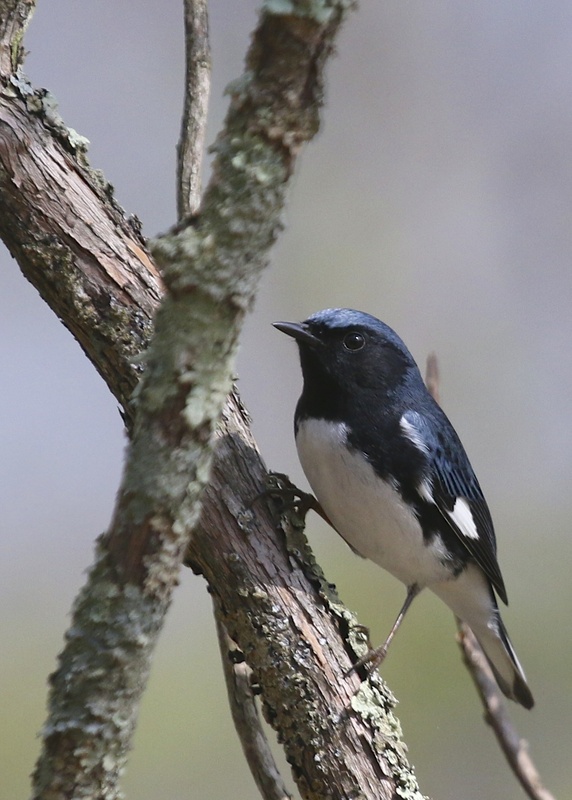 Male Black-throated Blue Warbler at the Bashakill State WMA, 5/10/14. 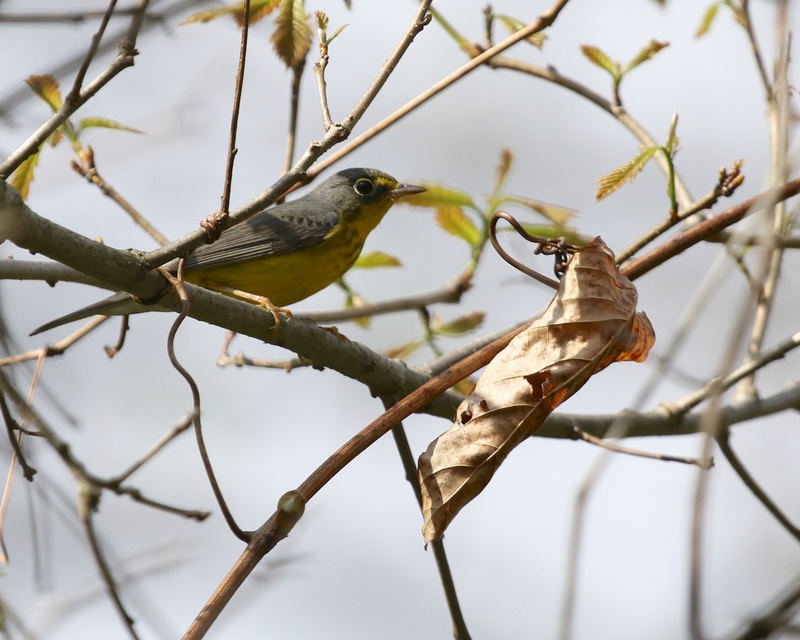 Canada Warbler on the Nature Trail at the Bashakill, 5/10/14. 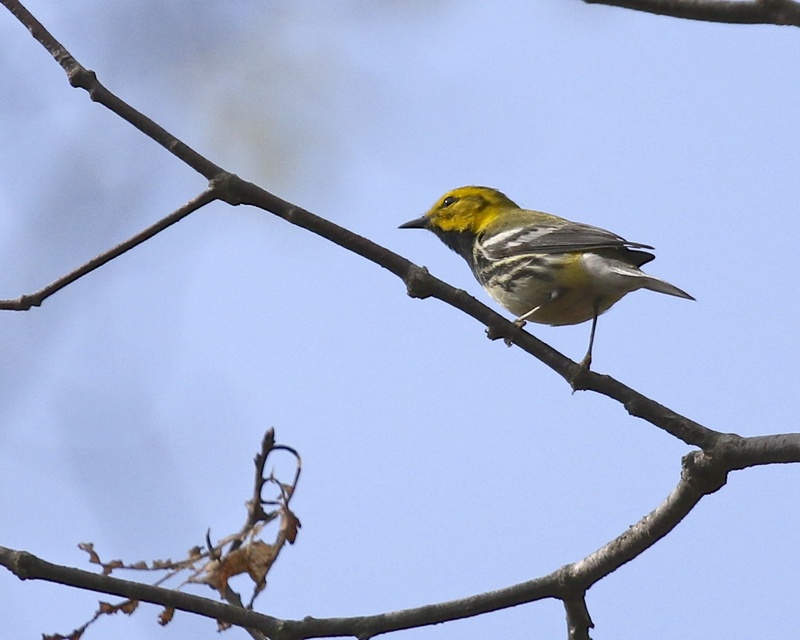 I identified this Black-throated Green Warbler by ear before we located it, which made me happy. Bashakill State WMA, 5/10/14. 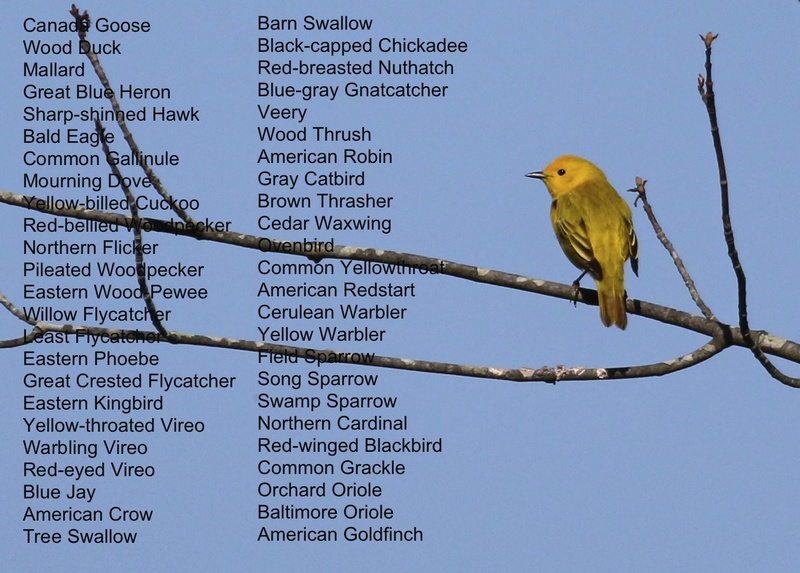 Author mattzeitPosted on May 10, 2014 Categories Orange County, Songbirds, Sullivan County3 Comments on WARBLERS – WOW! 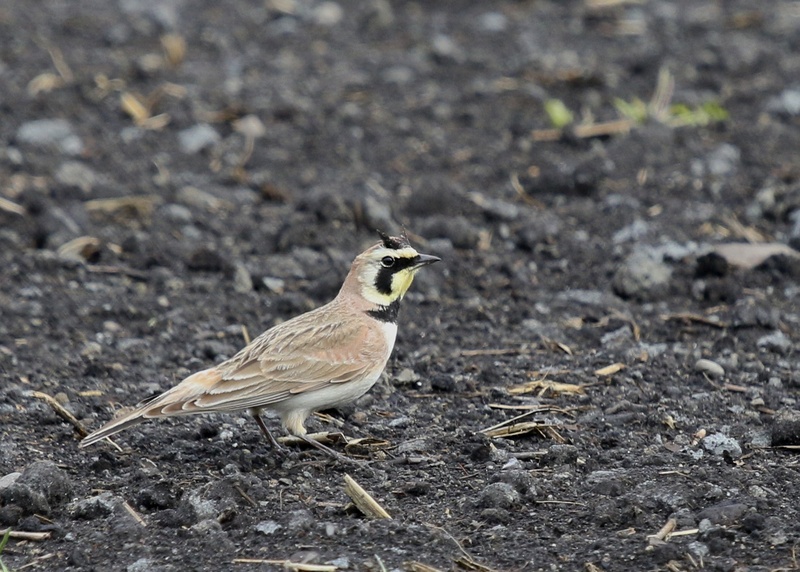 A Horned Lark shows off its namesake. Pine Island Turf Nursery, 5/8/14. 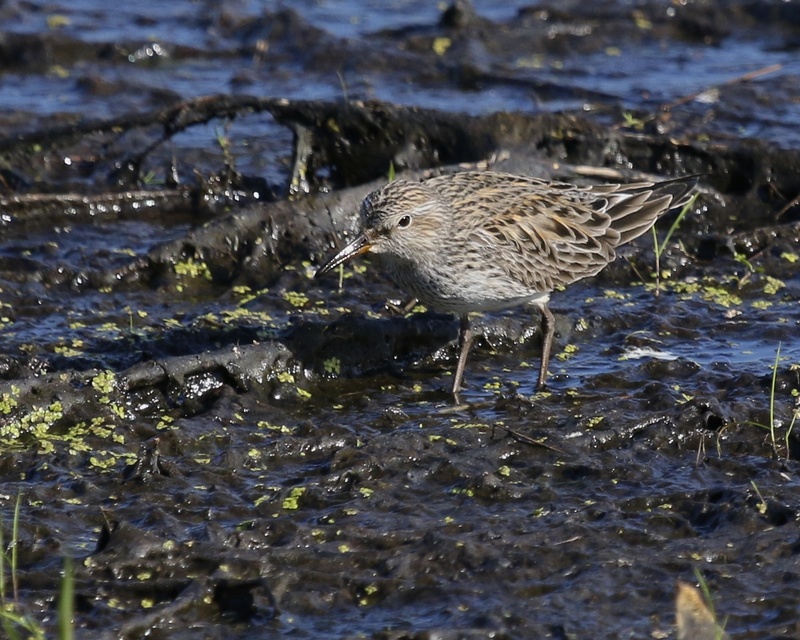 I got out after work today and checked few spots, mostly hoping for shorebirds. All the flooding at Pine Island Turf Nursery and along the right side of the Winding Waters Trail had subsided. 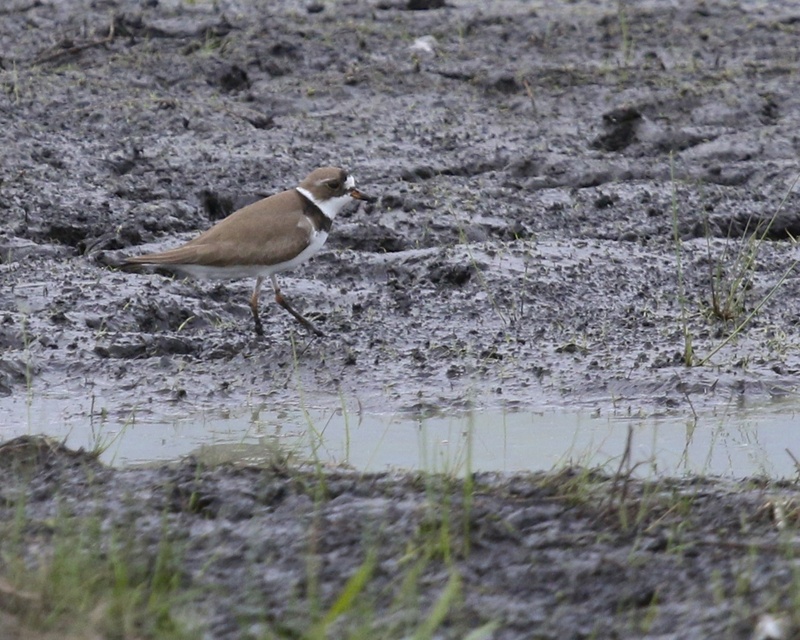 At the turf nursery I did not stick around for long but did see the above Horned Lark. This is the first time I have shot this bird and gotten a really good look at the horns. At the Winding Waters Trail I again did not stay for long, but I did have one Solitary Sandpiper. I decided to walk the Liberty Loop in hopes of getting perhaps some shorebirds and maybe even an interesting warbler. 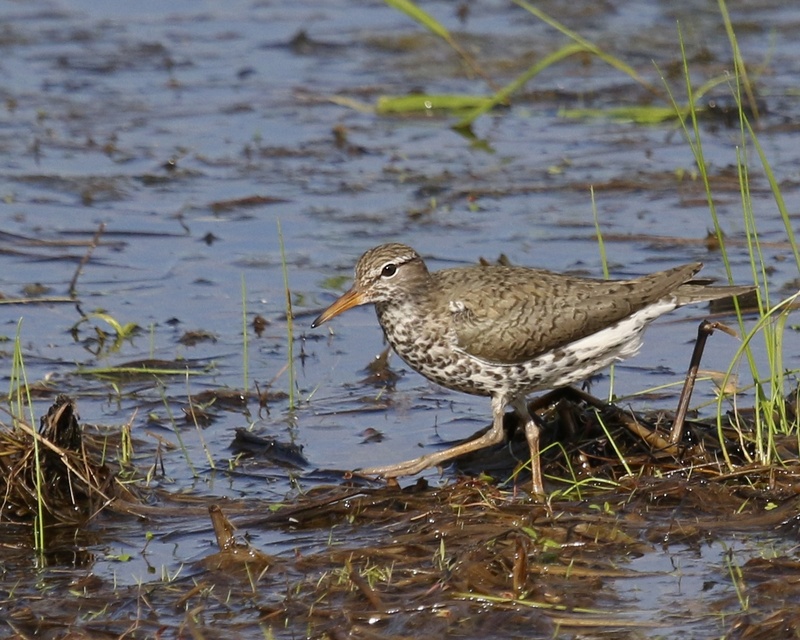 For shorebirds I had Greater and Lesser Yellowlegs, Solitary Sandpipers, and a single Spotted Sandpiper. 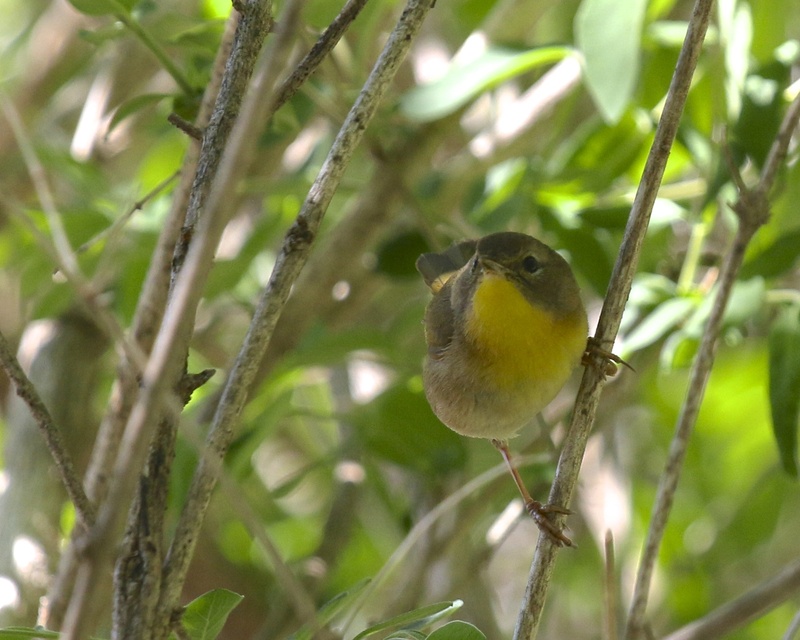 Warbler showing was weak, I only had Yellow Warblers, Yellow-rumped Warblers, Common Yellowthroats, and American Redstarts. I did manage several personal FOS birds however: Rose-breasted Grosbeak, Scarlet Tanager, Wood Thrush, and Baltimore Oriole. 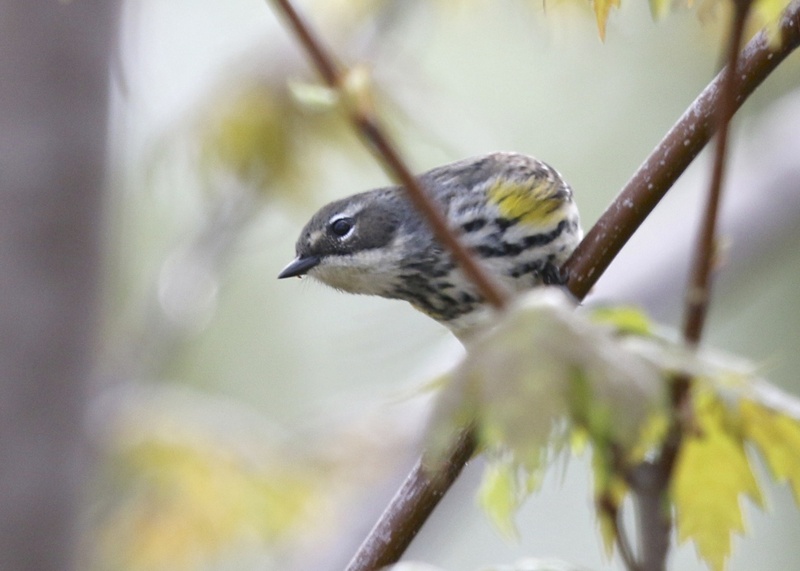 There were plenty of Yellow-rumped Warblers on the west side of the Liberty Loop, 5/8/14. 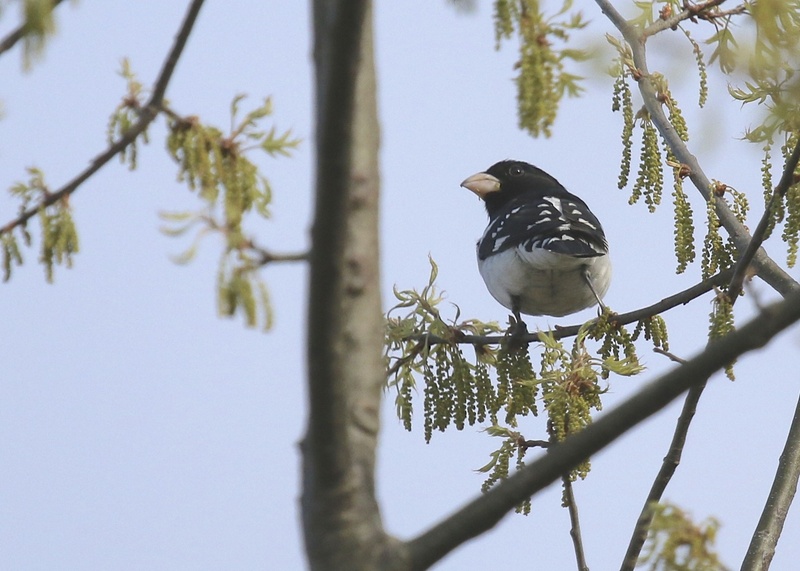 My FOS Rose-breasted Grosbeak at the Liberty Loop, 5/8/14.